I've had a lazy Monday, listening to the howling wind outside, persuading my Dad to let us get pet bunnies! (I'm unbelievably excited about this!) and listening away to Jake Bugg :) I was out Thursday night, Friday night, Saturday night and Sunday night... think I'm getting too old for this. I thought I'd do a wee OOTN post of Thursday night's outfit, just a simple long sleeved black midi from New Look (£14.99) and some black and leopard print creepers I picked up in New Look for £10, bargain! 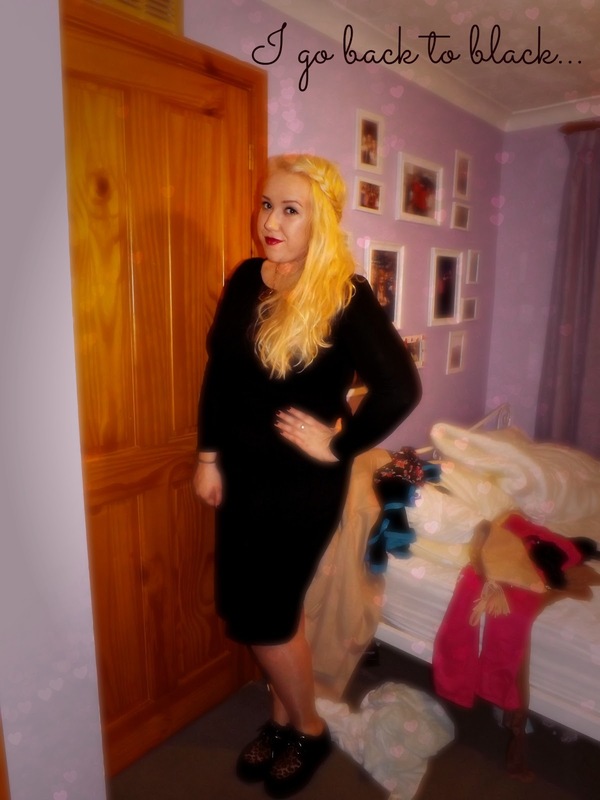 I also had my Primark (Zara-esque) studded black clutch. It's a simple outfit but one which I really like wearing as it's so easy to wear. I've been loving midi dresses at the moment, I even took the plunge and ordered the ASOS one I've been lusting after; excited to receive it tomorrow! Thursday night's FOTN... Pulling faces as usual! Anyways guess I best go get ready for work and finish an essay for tomorrow, enjoy Monday!! Even if it is grey and dreary.